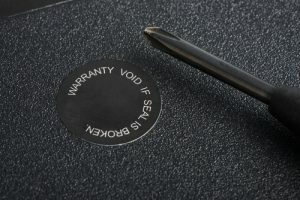 Our law firm is investigating potential claims on behalf of consumers that purchased items that had illegal “void if removed” warranty stickers. The Federal Trade Commission (FTC) recently announced that it had informed 6 large U.S. companies — in the form of a warning letter — that their policies concerning product warranties were in violation of the law. The 6 companies in question market and sell a wide range of products, including video games, cars and mobile devices. Such “Warranty Void if Removed” seals are often illegal under US law, and can lead to class action lawsuits. The warning letter let the six know that the FTC was concerned about statements the companies had made about how the warranties that they provide for their products were dependent on consumers using certain providers of services and/or certain parts. The agency indicated that such warranty requirements could be considered by the agency as being deceptive, and that they were also in violation the law, specifically the Magnuson-Moss Warranty Act, which pertains to warranties of consumer products. 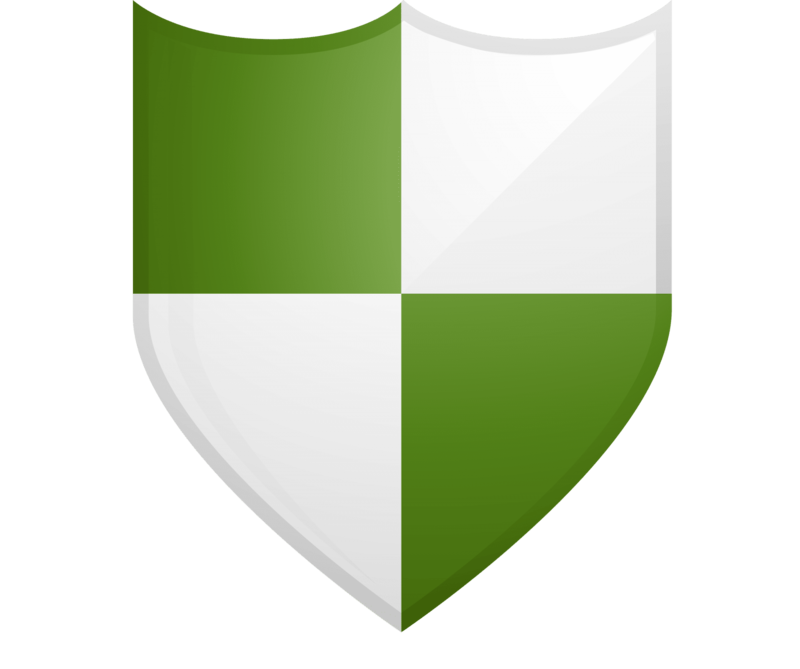 The only exceptions to the law, according to the agency, are when companies provide the required part(s) or service(s) free of charge, or when they receive a waiver to the provision of the law from the FTC. Thomas B. Pahl, who is currently the acting director of the Bureau of Consumer Protection within the FTC, says that, by tying a warranty with using specific services or products, it damages companies that offer competing services or products, especially small companies. Pahl says that these warranties also hurt consumers, who end up paying more for the products and services. In the warning letter, the FTC asked the companies in question to review both their warranty documentation and their marketing information, in order that they no longer state or imply that a warranty is dependent on using certain services or parts. It also asked the companies to change any prevailing policies that are in violation of the law. The letter further indicated that they would be checking the companies’ websites in 30 days, and that if the warranty provisions are not properly addressed, punitive action may be forthcoming. 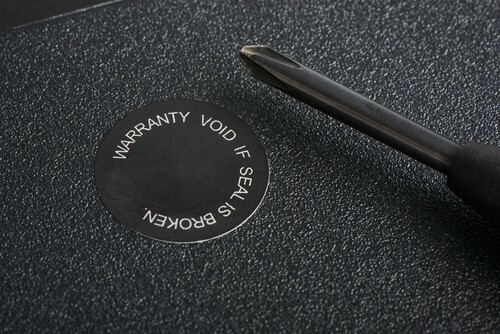 If you own a product that has a “void if removed” warranty sticker, you may be entitled to collect compensation.